Welcome everyone, we have a very important announcement today for Force of Will! We are indeed introducing, for the very first time, a Pro Circuit and its relative Pro Points! 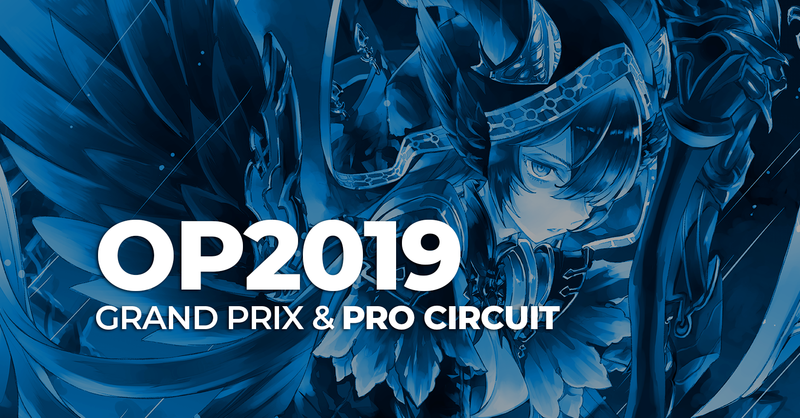 The Pro Circuit includes every Level 3 and Level 4 Force of Will Open Tournament (Grand Prixes and Pro Circuit Qualifiers, or PCQs), not including the Master circuit, being the Masters final not an open but an invitational tournament. Each Grand Prix will assign one full sponsorship invite for the World Grand Prix, which, for the very first time, is going to be in Osaka, Japan during 2019's fall. So a grand total of two invites will be assigned with GPs. The Masters Final, which is an invitational tournament, is going to assign, one Invitation with Paid Flight to Japan for the 2019 WGP. So, as you all probably already figured it out, one Invitation with Paid Flight to Japan is going to be assigned through Pro Points: the player who, at the end of the season, has collected the most Pro Points will be the fourth and the very last to fly to Japan for free. Since there is the possibility that a player could win two Grand Prixes in the same season, the winner will be given the prizing for 2nd place, and the runner-up will fly to Japan with the full sponsorship. Awesome, isn't it!? But that's not all. You all might be asking yourselves, why would someone who already has a sponsorship or else, can't attend every single event to collect them, be interested in this circuit? Well, here is the answer: Accumulated Pro Points (excluding the first in ranking who gets the full sponsorship) can be converted into special prizes like booster boxes, gadgets, gaming consoles etc. Further details about prizes will be given as soon as possible. Pro points will be leveled to zero at the end of every competitive season, so they will be used before the 31st of October (2019). *In case two or more players have the same amount of Pro Points at the end of the season, the first one is going to be the one who has the better placings between the two (or more) in the whole Pro Circuit. In case of further tie, the player with the least 5 digits of their FoW ID that are the smallest is going to be the winner of the sponsorship.